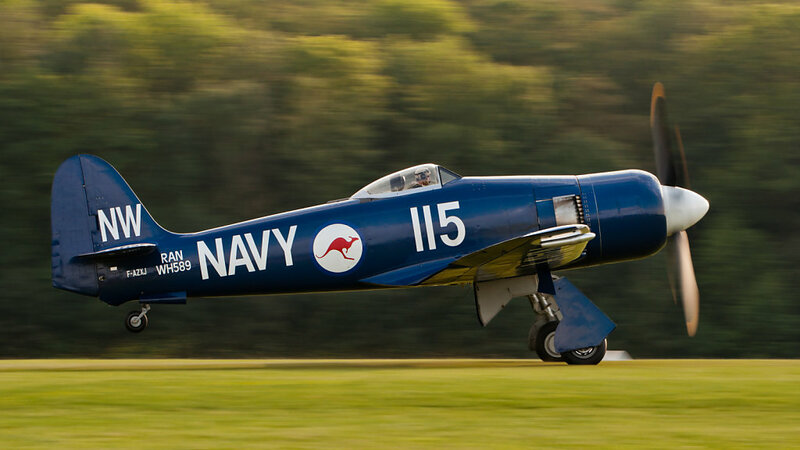 Hawker Sea Fury FB 10 (reg. F-AZXJ (115), cn 37733, built in 1944). Engine: Wright Centaurus XVIII. The aircraft was built for Iraqi AF as 316 (1958), destroyed in 2001 as reg. N56SF, rebuilt in the livery of RAN WH589 (cn 41H/636336, FB11).